In this new article we want to create a portfolio so as to show you some of our Spanish natural stone projects. As most of you know, Bateig is specialized in the exploitation, preparation, distribution and installation of natural stone. We have our own quarries, where we extract different stone varieties. At the present time, our company has a wide experience, since we have been working the stone for 138 years. Consequently, our materials can be found on the five continents; from America to Asia. As a result, Bateig is now part of different and diverse architectural works. Corporate buildings, hospitals, hotels, airports cultural projects such as libraries and museums, historical buildings, offices and private villas… Our projects are the best guarantee of the quality and versatility of Bateig stone. As we were saying before, we have also had the opportunity of working on some Spanish architectural projects. 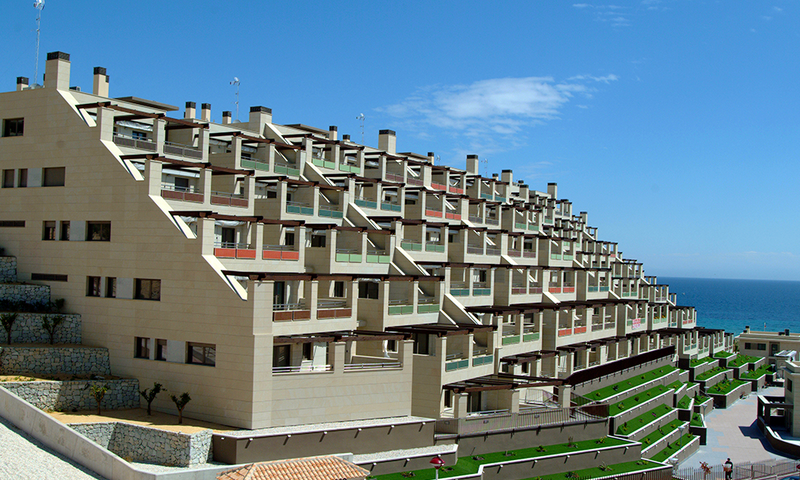 Our natural stone from Spain has been commonly used for constructing facades. 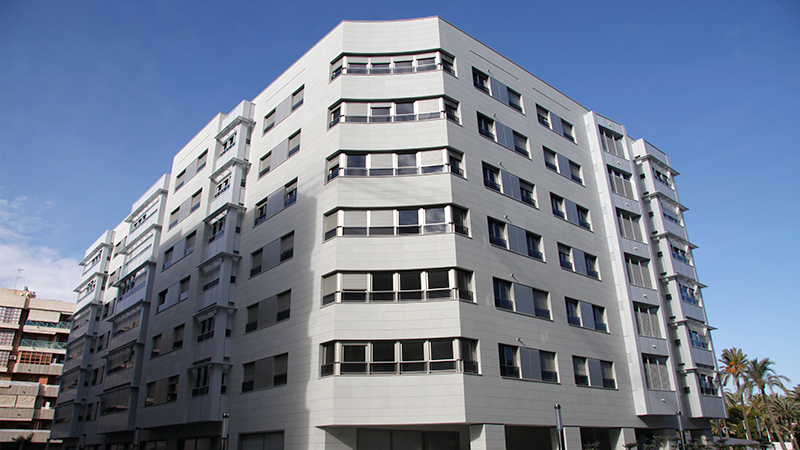 That is the reason why you can find our material in residential buildings in Logroño, País Vasco, Navarra, La Rioja, Murcia and Elche, among other places. Some of our most interesting projects on this matter are the facades of the NH Alicante hotel, the Daniya hotel located in Dénia (Alicante) and La Rioja AC hotel. 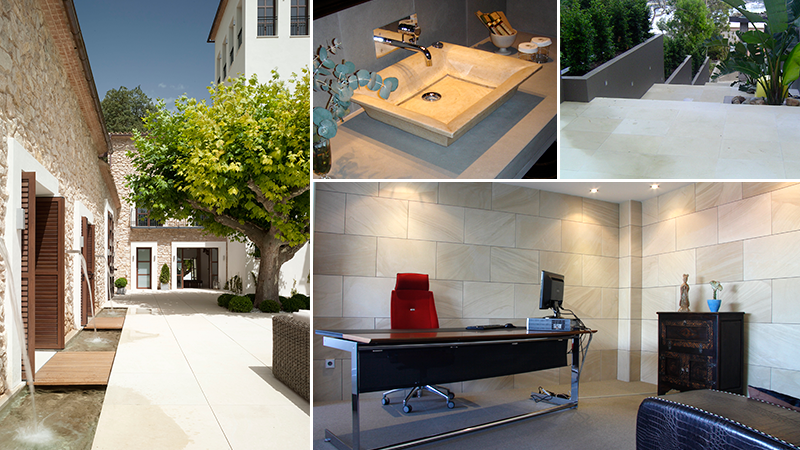 It is also important to mention that our natural stone from Spain is part of other important corporate buildings. Santa Ángela de la Cruz hospital (Sevilla) and Reina Sofía hospital (Múrcia) are some examples. Besides, Bateig stone has also been used for the construction of cultural structures such as Palau de la Música de Valencia, the University of Alicante and the National Library of Spain (Madrid). On the other hand, Bateig natural stone can also be found in other specific Spanish projects like private villas. Walls, furniture and floorings are some of its most common uses, which create elegant and sophisticated atmospheres. Nonetheless, there are many other ways to employ natural stone in inner and outer spaces. Last but not least, we want to stand out the use of Bateig natural stone in historical buildings. Our materials are suitable for this type of restoration projects. 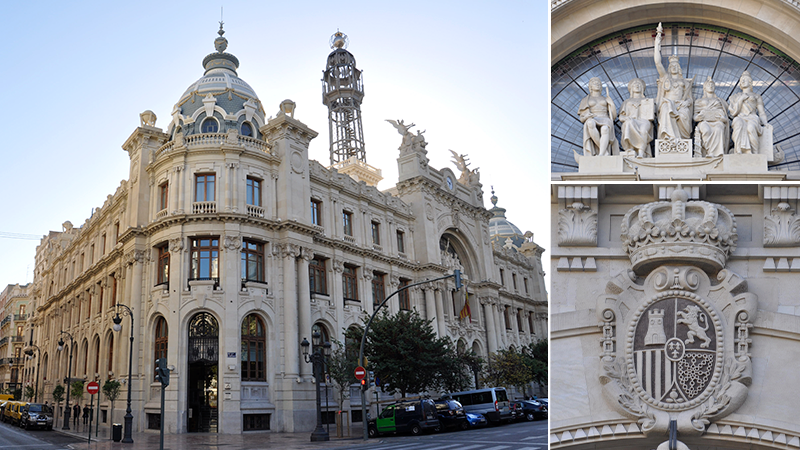 Madrid City Hall, Valencia City Hall, the Historic Central Post Office (Valencia) and the Almudena Cathedral (Marid) are some of our most emblematic historical projects. In conclusion, it is patently obvious that the natural stone from Spain is a material characterized by its quality, versatility and adaptability.